Thankfully, the days are getting slightly longer and warmer, which means we can start seeing the potential of our property for spring again. Decks rank high on the list of the most popular outdoor home upgrades, so if you’ve been thinking about improving your yard, Mirage Landscaping can help get you started. Mirage Landscaping of Calgary is a full-service, year-round landscaping company specializing in commercial and residential properties in southeast Calgary. We offer lawn care, snow removal and landscape construction services. A deck can be a functional sanctuary for your family and friends. There’s nothing better than relaxing outside with a good book, dining al fresco on a summer’s night, or inviting friends and family over to spend time outdoors. A deck can be the perfect extension of your home to provide both comfort and convenience. Many people prefer the simplicity of a single platform deck, which are among the simplest to build. Raised decks are another option, and are perfect for homes with steep backyard slopes. We can also include a roof for barbecuing in the winter, and a pergola or arbour to help cut the summer heat. It all depends on what type of yard you have, and how we can provide the privacy and practicality you need. Given the climate here in Calgary, choosing the proper deck material is very important. Some materials are better-suited to resisting Alberta’s harsh natural elements than others, and you’ll want your new deck’s lifespan to reflect the investment you’ve made in building it. Treated lumber. This is far and away the most economical option, and treated lumber is easy to handle. If you don’t mind doing an annual power-washing and applying stain and/or wood preservative every other year, treated lumber is a great bet for your new deck. Cedar and redwood. These classic wood products make great decks, especially if you’re looking for an authentic, rustic touch. Pro tip: buy wood with a high concentration of what is known as “heartwood.” This is the wood that grows closest to the centre of the tree, and it’s denser and stronger (and usually more expensive). The extra investment is worth it, since inferior-quality cedar and redwood will need much more maintenance. Tropical hardwood. If you’re going for a more exotic look, tropical hardwoods like tigerwood, mahogany, ipe and cumaru are well worth considering. They are extremely dense, giving them added durability, but the down side is that they don’t usually take well to staining treatments. If you want to stain your tropical hardwood deck, stick with an oil-based product specially formulated for these wood types. Before we go ahead and build, we will always “call before we dig.” Power lines and other urban infrastructure may run underground, even through private property. It’s better to be safe than sorry, and doing the requisite research only takes a minute. Mirage Builds Affordable and Beautiful Custom Fences, Too! Fences offer more than just a way to keep peace with your neighbours; they’re also ideal for accentuating your property. At Mirage Landscaping, we build beautiful custom fences to your exact specifications, all for very affordable prices. It’s never been easier to add fences to your Calgary home — simply let us know what you have in mind and we’ll take care of all the details. 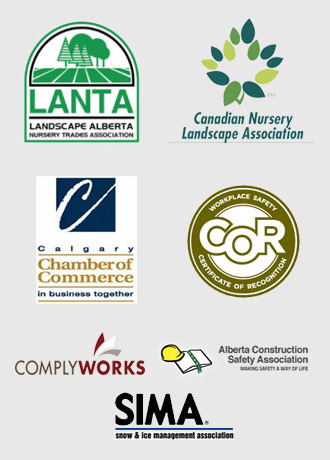 Mirage Landscaping has been a leading name in Calgary landscaping for years, and our family-run company takes great pride in exceeding customer expectations time and time again. Whether you’re looking to schedule a spring cleanup, arrange affordable professional property maintenance or overhaul your home’s exterior, we’re here to help! 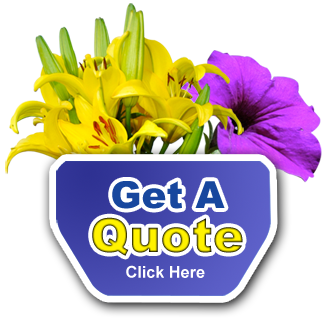 Contact us today to get a fast, free quote.